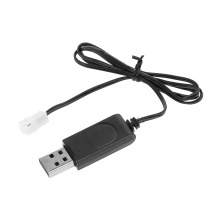 The USB Cable of Z51 RC Airplane comes, high performance and excellent workmanship make it the best choice for you. This DIY part will bring you more fun and can develop you manipulative ability. Come on, take it home. Original USB Cable for fast charging. With stable performance, wear-resistant and durable.